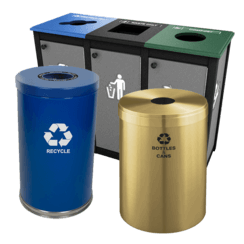 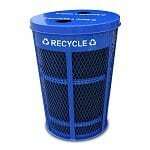 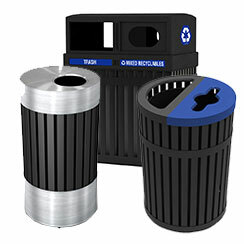 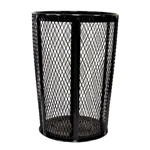 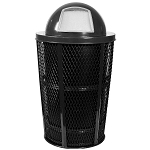 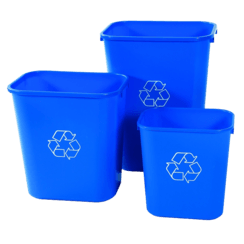 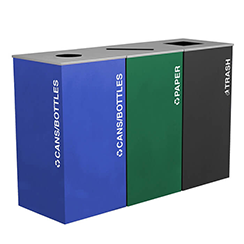 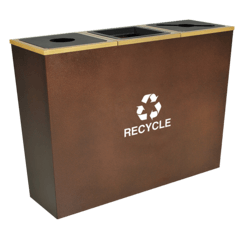 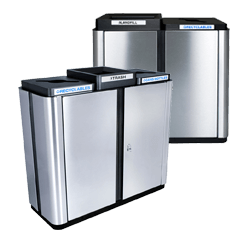 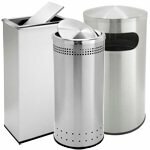 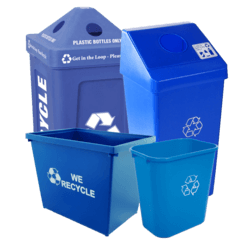 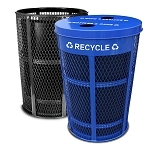 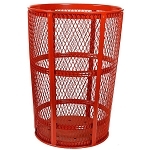 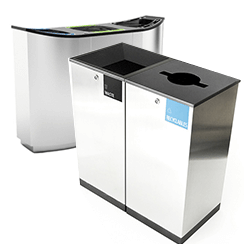 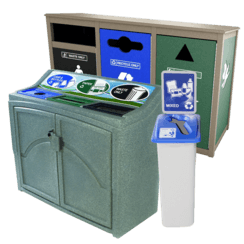 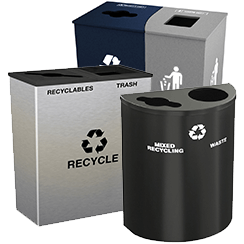 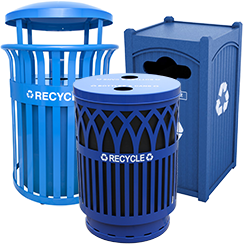 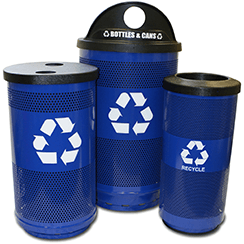 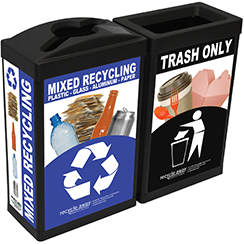 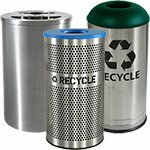 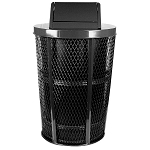 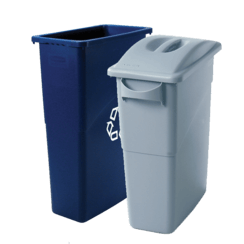 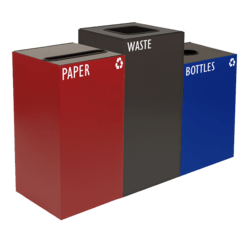 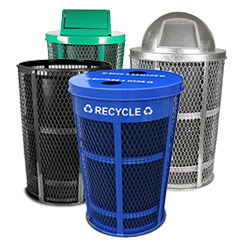 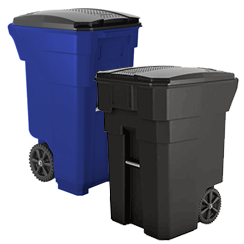 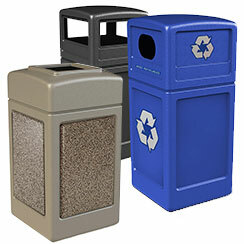 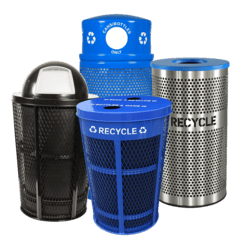 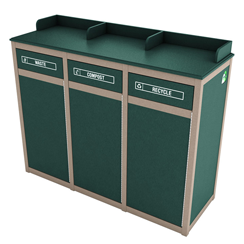 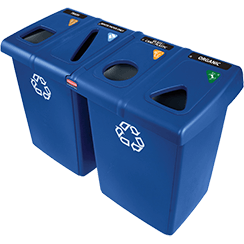 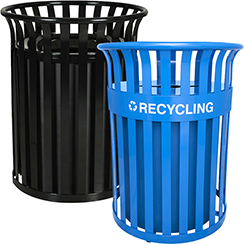 Our Expanded Metal Waste and Recycling Barrels are good-looking, long-lasting ADA compliant receptacles with a safe, see-thru design for added security. 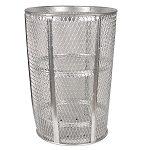 They're easy to maintain and clean thanks to the open metal mesh exterior. 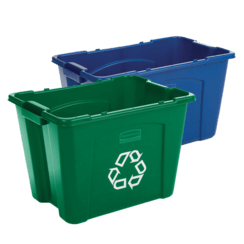 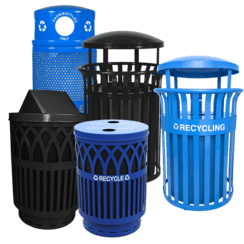 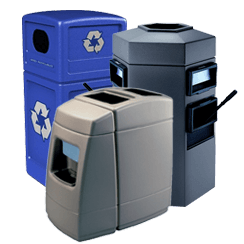 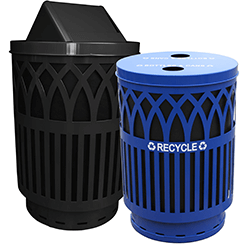 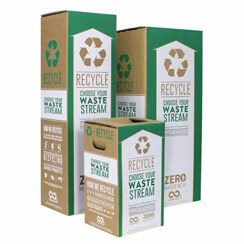 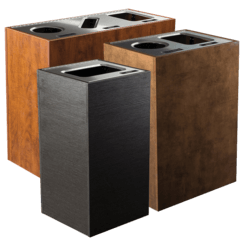 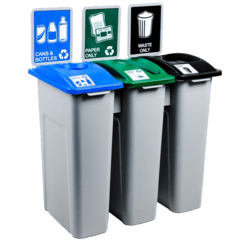 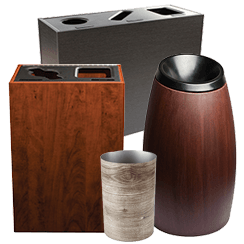 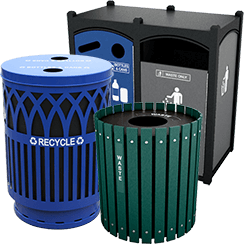 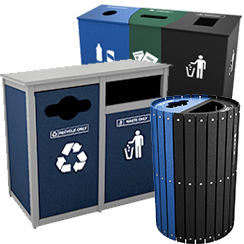 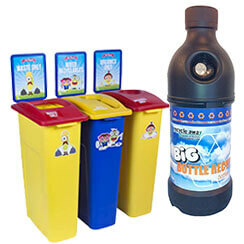 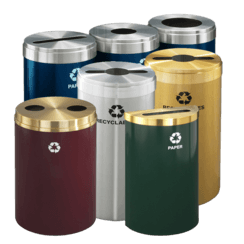 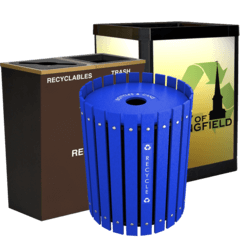 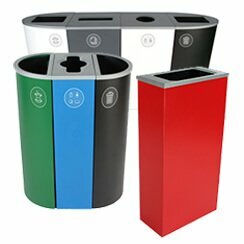 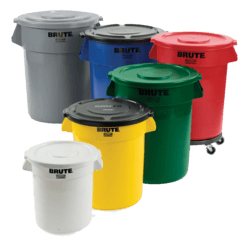 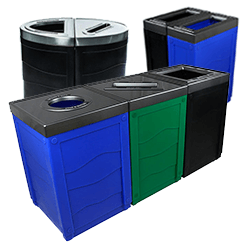 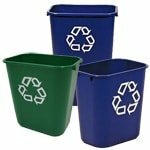 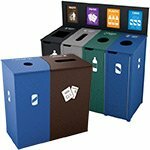 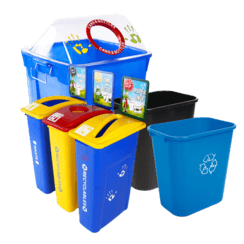 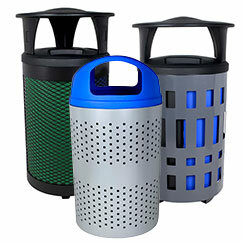 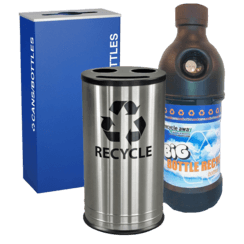 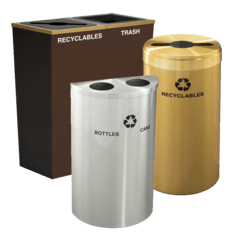 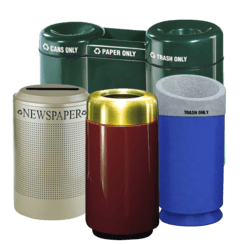 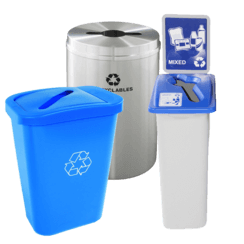 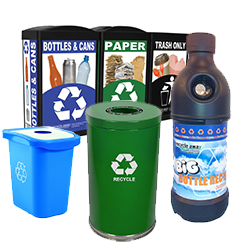 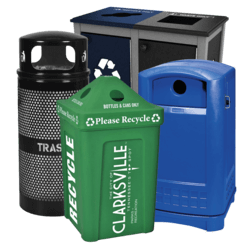 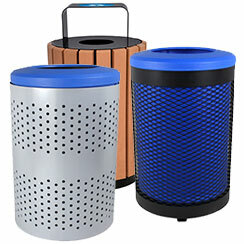 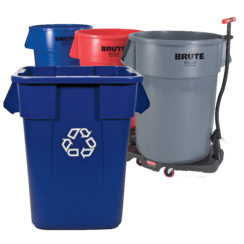 Awesome bins for public parks, college campuses, parking garages, apartment complexes and other outdoor, high foot-traffic areas. 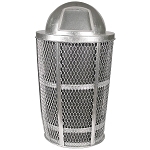 Available in hot-dipped galvanized to withstand harsh environmental conditions. 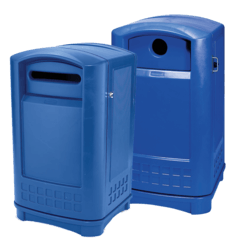 Our versatile Expanded Metal receptacles can withstand the harshest outdoor environments, including salt and chlorine exposure, making them perfect for outdoor summer swimming areas, too.